A familiar sound for readers of the Mail on Sunday is the deafening cymbal-clash of Peter Hitchens colliding with reality. This last Sunday offered a particular highlight, which, although there is undoubted wisdom in leaving him alone to figuratively wander the 21stcentury in his dressing gown shouting at clouds, cannot pass without comment. Undeterred by the fact that there was a wealth of evidence before the court which he, as somebody who was not in court for the duration of the trial, has neither seen nor heard, Mr Hitchens, armed with a fistful of second-hand newspaper reports of snippets of the case, assured readers that he, the clear-sighted rationalist, can see the case for what it is: “a tragedy twisted into a bogus ‘terror plot’”. The premise of his thesis, as he expanded in a further blogpost on Monday, appears to be twofold. Firstly, it is “absurd” for anyone to claim that Mair was a “rational, coherent political actor”, as his actions “predictably achieved more or less the exact opposite of what he supposedly intended – and he would have grasped this in a second had he been in a normal state of mind”. We can deal with the first argument swiftly: irrationality and mental ill health are two discrete concepts. The former may be a symptom of a latter, but they are not necessarily linked. Most of the people who cross the threshold of the criminal courts are irrational. I’ve prosecuted more burglars than I can count who, despite their extensive experience, have still failed to process that climbing through a broken window is likely to result in your blood being left at the scene. The number of young men who, disqualified from driving and flagged down by the police, decide not to cut their losses and take their dues but instead to lead the police on a merry 90mph pursuit through residential areas and red lights before, inevitably, being caught, adding dangerous driving to the charge sheet – irrational? Tick. Incoherent? Tick. Achieving the exact opposite of what they supposedly intended? Tick. Colloquially they might be said to, in Hitchens’ words, be “roaming along the outer frontiers of sanity”, but mentally ill? That’s something different. Well this is only suspicious and puzzling if you don’t understand the first thing about how a defendant’s mental health is relevant in criminal proceedings. And it is regrettable that, given how frequently Mr Hitchens finds novel ways to be wrong about the criminal law, he did not think to ask anybody involved in criminal justice for their insight. Had he done so, he may have been told something along the following lines. Now the headline with all of these is that any such reported obtained by the defence attracts legal privilege. This means that the defence do not have to show anybody else – the court or the prosecution – the contents of the report if they do not wish to. So if a psychiatric report does not help the defence case, there will usually be no point in serving it. Many, many psychiatric reports are prepared for court cases every day and ultimately not relied upon. Often, the conclusion will be, “The Defendant suffers from psychiatric or psychological disorders, namely X, Y and Z, but not to the extent that any of the legal defences apply”. Sometimes, worse still, the report will be positively harmful to the defence. “The Defendant expressed no remorse and in my view presents a significant risk of serious harm to the public” is the last thing you want the court to read if you are trying to do the best for your client in mitigation. But, and I will repeat this, the fact that mental health issues were not “discussed before the jury” does not mean that all relevant mental health issues were not considered and dealt with appropriately. Now we do not know why Mair’s lawyer did not rely on medical evidence. But we do know, because the defence barrister told the court at a pre-trial hearing, that Mair had been subject to an assessment. Mistakes happen, of course. Negligence happens. Lawyers and judges are far from infallible. We see awful cases on appeal where the courts and/or defence representatives failed to appreciate the significance of a defendant’s mental health. But there is absolutely nothing to suggest that this is what happened in Mair’s case; to the contrary, his highly experienced lawyers indicated to the court that mental health had been considered and was not, for reasons that they do not have to state openly, going to be relevant to the issues the jury had to decide. Nor, from the sentencing remarks, was there any mental health issue relevant to mitigation. You’ll note that Hitchens does not suggest in respect of which legal issue – fitness to plead, a defence (and which one) or mitigation – the evidence of mental ill health ought to have been adduced. He just vaguely asserts that it should have been “discussed before the jury”, without deigning to tell us to what end. Hitchens’ hang-up appears to stem from the false presumption that because an issue wasn’t raised before the jury, it wasn’t considered. That is wrong. No such deduction can safely be made. If Hitchens has spoken to those involved in the case, or has somehow seen Mair’s medical records or psychiatric reports, he may be onto something. Without any of those, it is nothing more than a conspiracy theory, and, given the imputation that Mair’s lawyers have been professionally negligent in service of a government agenda, a potentially libellous one at that. Quite why Hitchens is so wedded to a thick black line that does not exist – attempting to separate mental ill health and terrorism into mutually exclusive camps – is also a mystery. Why he cannot accept the proposition that a person can be mentally unwell whilst still capable of committing deliberate and knowing acts of political carnage is as baffling as his determination to cast Mair as a victim of a state fit-up. The whole argument, as with so much of what Hitchens writes, is achingly bizarre. By the time you’ve finished deconstructing it, you almost forget why you started. Like the time he mistook the origins of the term “county lines” and got himself in a week-long tantrum, his thinking on this issue betrays a millefeuille of irrationality, incoherence and counterproductive reasoning. Hitchens has a term for that, but I expect he would not take kindly to it being applied to him. The assault on Jack Grealish – is 14 weeks’ imprisonment the right sentence? I fired off a quick thread last night offering my rough take on yesterday’s conviction and sentence of Paul Mitchell, the Birmingham City supporter who ran onto the pitch during Sunday’s match between Birmingham and Aston Villa and assaulted Villa footballer Jack Grealish. Below are my provisional thoughts. Paul Mitchell was charged with battery, contrary to s39 Criminal Justice Act 1988. He was also charged with an offence of encroaching onto a football pitch (presumably s4 Football Offences Act 1991). He pleaded guilty to both offences at his first appearance today before Birmingham Magistrates’ Court, the offences having been committed yesterday. A good live account of today’s court proceedings can be found here. Why was the case dealt with so quickly? Many people have remarked on how quickly this case was processed – barely 24 hours between offence and sentence. But this is not unusual where a defendant is arrested, charged with a summary offence (one that can only be tried at the magistrates’ court) and refused police bail. The police have the power to charge this type of battery without needing the Crown Prosecution Service to authorise the charge (see the Director’s Guidance on Charging), so the process is quicker. A defendant charged and kept in police custody will be produced at the magistrates’ court the next day. If a defendant pleads guilty, the court will usually require a Pre-Sentence Report to be prepared by the Probation Service, to make recommendations as to how best deal with the offender. It’s now common for this to be done the same day. Given that the offence was captured from multiple angles by high-definition television cameras, there was little choice but to plead guilty. What about the sentence? How did the court arrive at 14 weeks? Mr Mitchell received 14 weeks’ imprisonment, as well as a 10-year football banning order. He was ordered to pay £100 in compensation to Mr Grealish, £135 in prosecution costs and a mandatory £150 Victim Surcharge. The maximum sentence for battery is 6 months’ imprisonment. (If injury had been caused, it would likely be charged as causing actual bodily harm, which carries a maximum sentence of 5 years). The maximum sentence for going onto the playing area is a fine. A defendant who pleads guilty at the earliest opportunity – i.e. at his first appearance – is entitled to one third off his sentence. That applies to all defendants, even where, as in this case, the evidence is overwhelming. This means that the maximum sentence the magistrates could have passed was 17 weeks. 14 weeks is therefore almost as high as they could go. Looking at the Guidelines, in order to reach this sentence, the magistrates must have put this case in Category 1. This requires a finding of “Greater Harm” and “Higher Culpability”. On its face, it’s not easy to see how they did this (and without full sentencing remarks, we are somewhat in the dark). There was no injury, and it was a single blow (rather than a sustained or repeated attack), so the only possible feature of Greater Harm was the particular vulnerability of the victim. It might be argued that as a man going about his job surrounded by tens of thousands of excitable spectators and relatively limited security, Mr Grealish qualifies as particularly vulnerable, although it’s a bit of a stretch. Similarly, the features of “Higher Culpability” don’t immediately recommend themselves. Arguably there was an intention to cause greater harm than was in fact caused, but a single blow without a weapon makes this a tricky argument. Significant premeditation? Doesn’t look like it, unless Mitchell had told others in advance of his plans. Again, we may be left trying to characterise Mr Grealish as vulnerable to get this box ticked. As for the other aggravating and mitigating features, there hasn’t been a lot of detail provided. The location and timing of the offence are aggravating features (the victim’s place of work in front of a national audience). We don’t know what the Pre-Sentence Report said about Mr Mitchell’s personal circumstances. We know that he had previous convictions for non-violent offences, but it’s not clear what they were and how relevant they were (whether, for example, they related to football). We know that his solicitor expressed remorse on his behalf, and that Mr Mitchell was a father of one with a second child on the way. How these were all balanced is unclear without knowing the magistrates’ full reasons. I’m loath to draw any firm conclusions without knowing the magistrates’ reasoning, but on its face, it looks as if there would have had to be a fair bit of creative interpretation to get Mr Mitchell into Category 1 and towards the top end. There is an alternative explanation. 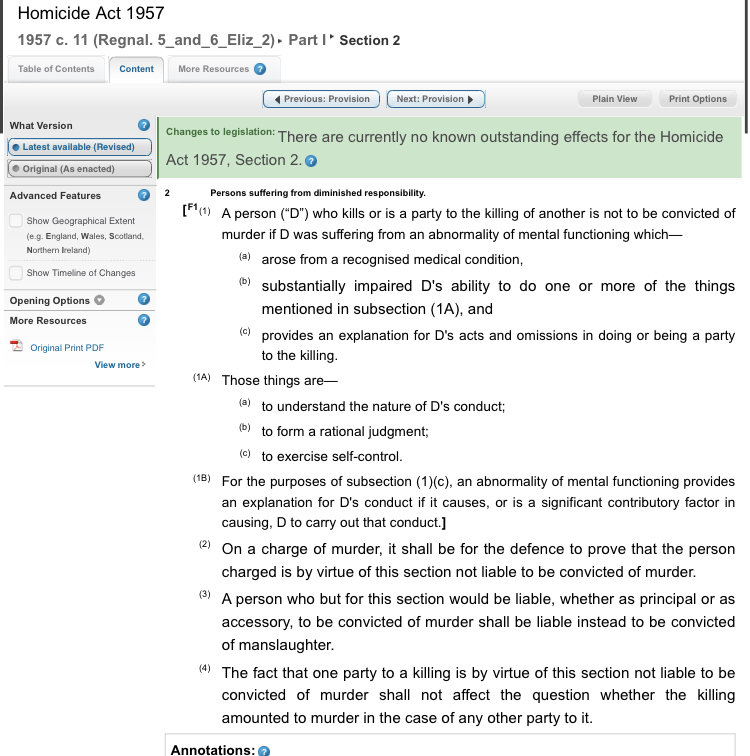 The magistrates made clear the need for deterrent sentencing for this kind of offence, and it may be that they held that, even though the offence would ordinarily fall within Category 2 or 3, the circumstances were such that it was in the interests of justice to move outside the category range on the Guideline and into Category 1. This, I’d guess, would be how they would justify the sentence. The potential for widespread public disorder, as others have pointed out, may well have been a factor which the court treated as seriously aggravating. Context is everything. Those saying “he wouldn’t have got this for a punch in the street” miss the point. This wasn’t the street. It was a deliberate assault involving trespass onto a playing area, calculated to hurt and humiliate a man lawfully going about his job in front of a stadium of thousands and a television audience of millions. I have little doubt that Mr Mitchell has been treated particularly severely because this was a high profile assault; but he deliberately chose to make it high profile. He selected the location and the occasion. Those are aggravating features. As ever, this whole exercise involves a fair bit of guesswork, because our justice system still struggles to do basic things such as providing a copy of the sentencing remarks in cases of enormous public interest. But that’s my rough take. A stiff sentence, but probably justifiable. How does this compare to other cases of football spectator violence? It is difficult and somewhat artificial to compare sentences, but one I’ll mention (because I’ve commented on it before) is the racially aggravated assault on Raheem Sterling. While taking place outside the training ground rather than on the football pitch, this offence involved a much more serious assault, with repeated kicking (characterised by the Guidelines as using a weapon) which caused bruising, and the use of racist language. The offender was sentenced to 16 weeks’ imprisonment (the maximum sentence for racially aggravated battery is 2 years). I wrote at the time that I thought this sentence, based on the reported facts, was lenient, and this case arguably casts it into even starker relief. I have today written a piece for the i newspaper on the jury system, after the excellent series published this week on life as a juror, The Trial: Secrets of Jury Service. My thoughts can be found here. The Guardian is currently running a brilliant series on the effect of the legal aid cuts turbo-charged by the Legal Aid, Sentencing and Punishment of Offenders Act 2012. Owen Bowcott and Amelia Hill have put together an in-depth investigation drawing on case studies and interviews to demonstrate the dire impact upon access to justice. One such interview, should you be interested, was with me, and can be found here.